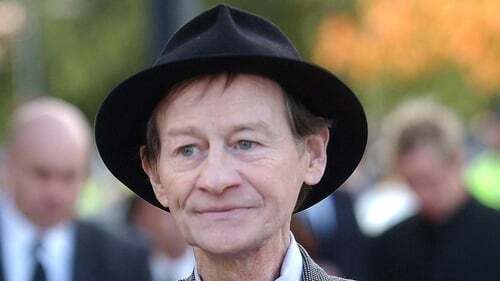 Snooker player Alex Higgins died today after a long battle with throat cancer. The 61-year-old former world champion was known as 'the Hurricane' by his many fans. Mr Higgins, from Northern Ireland, was diagnosed with throat cancer more than 10 years ago. Snooker promoter Barry Hearn said he would be remembered as the ‘original people's champion’ and the man who transformed the popularity of the sport. Mr Hearn said: ‘I have known him for nearly 40 years. He was the major reason for snooker's popularity in the early days. ‘He was controversial at times, but he always played the game in the right spirit. The Minister for Sport said she was saddened to hear of the death of the former snooker champion and offered her condolences to his family and friends. Mary Hanafin said: ‘Alex was a bright star of snooker for many decades and his victories were a time of great celebration for the people Belfast and all of Ireland. Alex Higgins claimed the world champion's crown at the first attempt, aged 22, and took it back again ten years later from Ray Reardon at the Crucible in Sheffield. The scenes of him then, weeping in triumph, one arm around wife Lynn and the other cradling his baby daughter, are among the most famous and moving images in snooker history. But what many feel was his finest hour came the following year at Preston Guildhall, when he came back from 7-0 down against the seemingly unbeatable Steve Davis to win the 1983 United Kingdom championship final 16-15. Davis described his former rival as one of the few 'geniuses' around the table. Davis said: 'To people in the game he was a constant source of argument, he was a rebel. But to the wider public he was a breath of fresh air that drew them in to the game. Higgins published his autobiography, From the Eye of the Hurricane: My Story, in 2007.